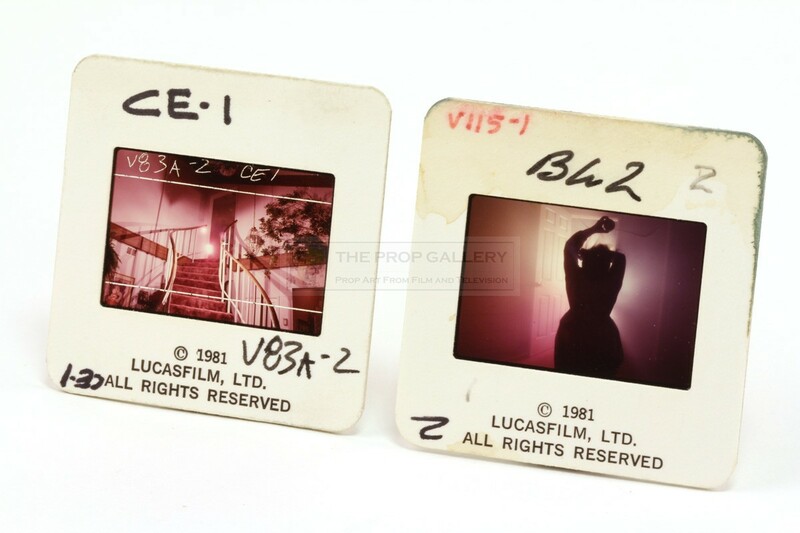 An pair of slides used in the production of Poltergeist, the 1982 supernatural horror produced by Steven Spielberg. 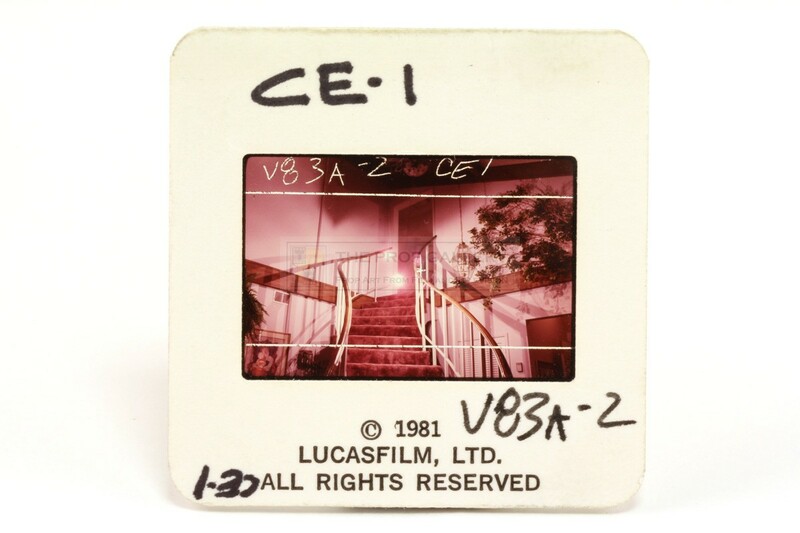 These VistaVision slides were utilised at Industrial Light & Magic during the composition of the Academy Award nominated visual effects sequences. 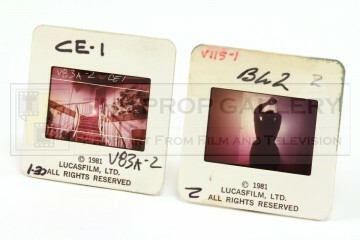 The Vistavision frames mounted in card surrounds featuring printed Lucasfilm copyright and depict two different scenes from the movie, the staircase and Tangina. 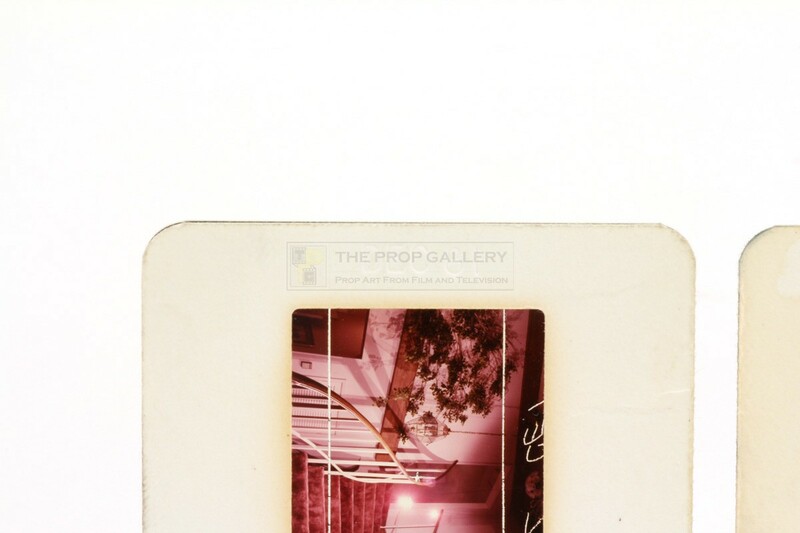 Each is hand inscribed with the corresponding storyboard numbers 'CE-1' and 'BL-2' with further reference annotations and embossed with the dates DEC 81 and SEP 81 respectively. 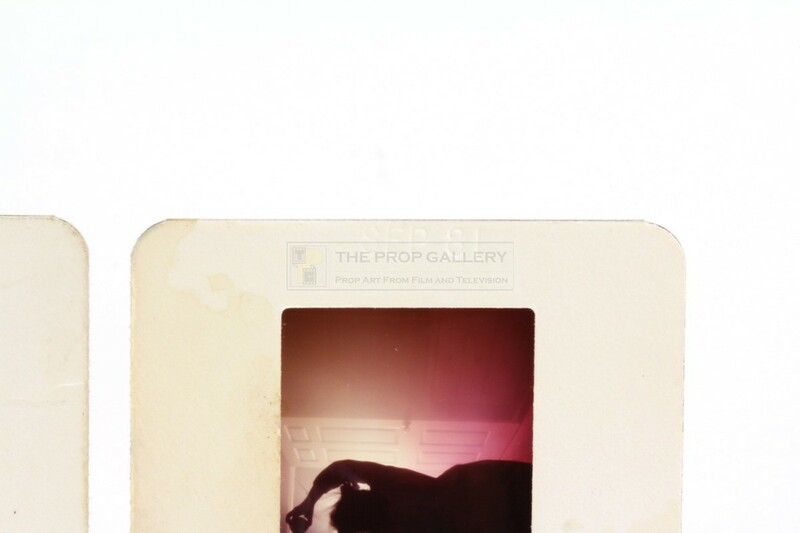 The slides measure 2" x 2" and remain in excellent production used condition with the cardboard surround of one featuring some water damage, otherwise very fine. 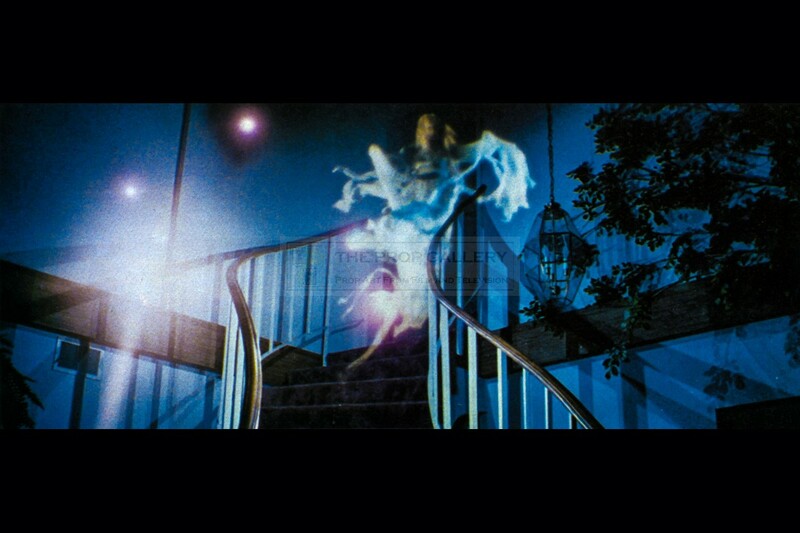 A rare and interesting example of original visual effects material from this classic of the horror genre.